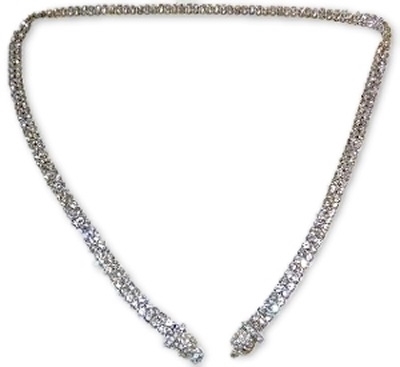 RHINESTONE double row crystal 32" belt. 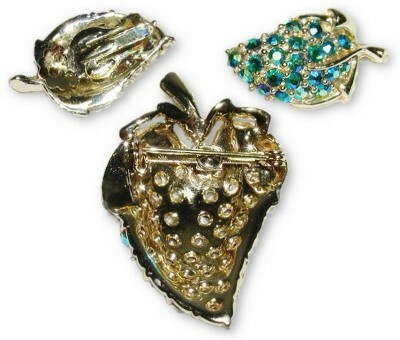 Excellent vintage condition with clear and brilliant rhinestones set in white metal mounts. No damage or repairs. Showy marked KRAMER N.Y. clear rhinestone and silvered metal bracelet. 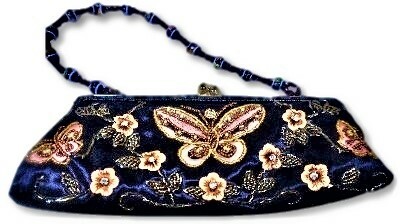 Measures 7" long and has safety chain and clasp. Only the most minor color to one stone. No damage or repairs. 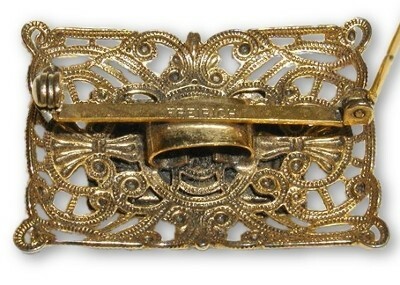 FREIRICH brooch. 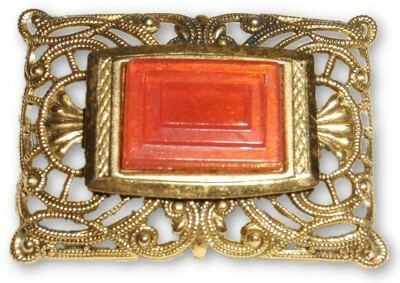 Created by Arthur Freirich during the 1960's fine gold tone finish and a central stepped rectangular glass coral colored stone. Measures 1 3/8" X 1". No damage or repairs. 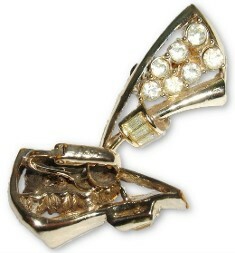 "GIVENCHY PARIS, NEW YORK" silver tone and showy cut crystals brooch. Measures 2 3/4" across and 3/4 at the highest point. The stones represent a square cut, brilliant cut and a pear shape brilliant cut stone. Marked on the reverse GIVENCHY Paris New York and a tiny logo on an oval wafer. No damage or repairs. 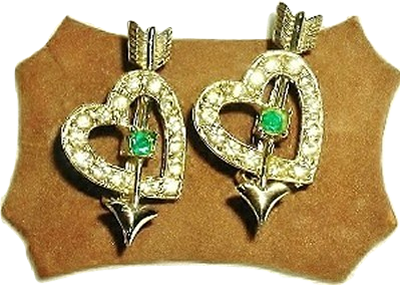 *PAIR* of vintage estate rhinestone and silver tone pierced heart brooches. The set of brooches are still on their felt covered cardboard display card. They are unmarked. 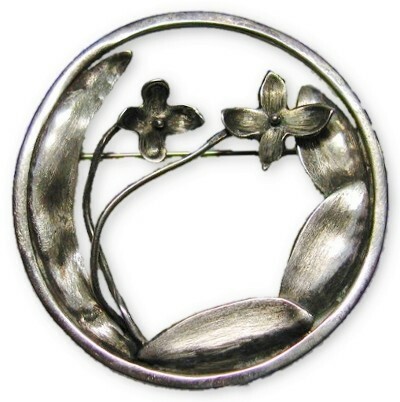 Each brooch measures 1 1/4" X 3/4". No damage or repairs. 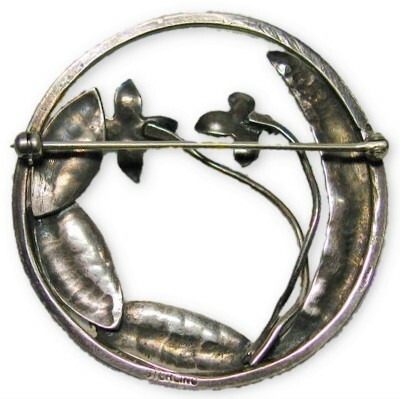 "STERLING by JEWEL ART" four connected leaf brooch. 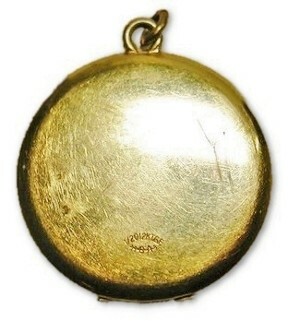 Marked on an oval attached wafer, measures 2 1/8" X 1" and has a total weight of 4.6 grams. No damage or repairs. 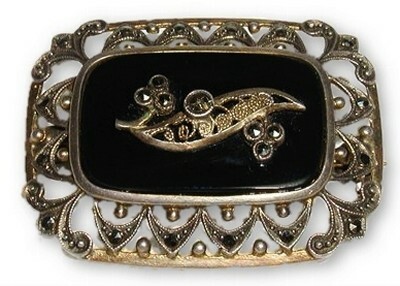 Vintage gold washed GERMAN SILVER marked 835 NW marcasite and black onyx pillow brooch. Measures 1 1/4" X 1" and has a total weight with stones of 7.3 grams. No damage or repairs. 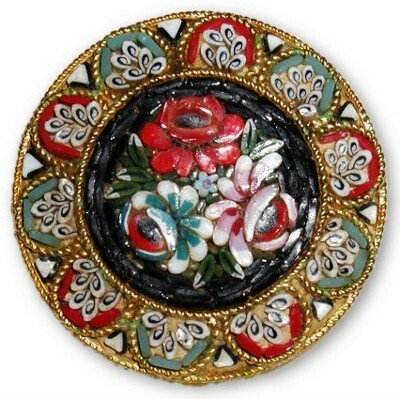 Italian MICRO MOSAIC TESSARAE GLASS & BRASS setting BAR STYLE brooch. Measures 2" X 1/2". No damage or repairs. 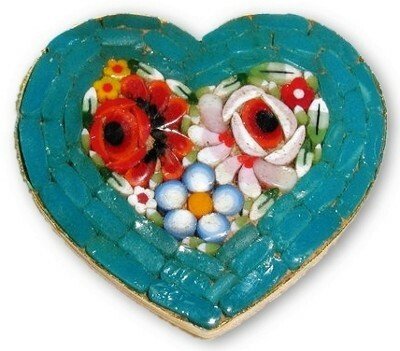 Italy MICRO MOSAIC TESSARAE glass heart shaped gold tone setting brooch. This very colorful stamped ITALY. Measures 1 3/8" X 1 1/4". No damage or repairs. 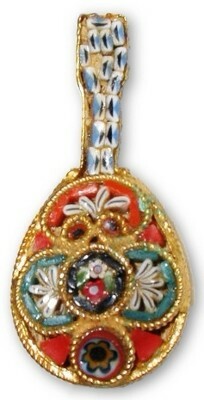 Italian MICRO MOSAIC TESSARAE GLASS MANDOLIN shape gold tone setting brooch. Measures 1 1/4" X 5/8". No damage or repairs. 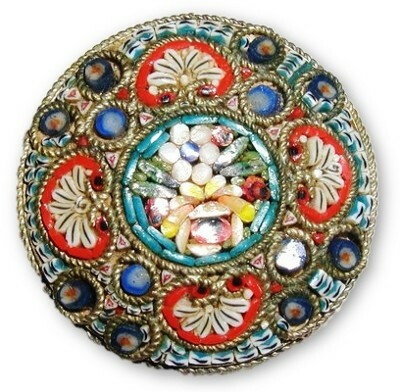 Italy MICRO MOSAIC TESSARAE glass and brass setting brooch. This very colorful stamped ITALY. Measures 1 1/4" X 1". No damage or repairs. 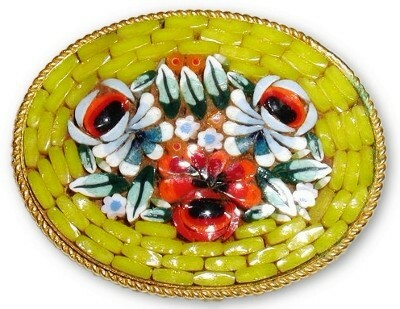 Italy MICRO MOSAIC TESSARAE glass gold tone setting brooch. Stamped MADE ITALY. Measures 1 1/2" X 1 1/4". No damage or repairs. 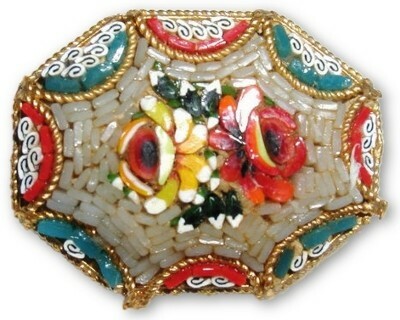 Italian MICRO MOSAIC TESSARAE glass gold tone setting brooch. Measures 1 1/2" X 1 1/4". No damage or repairs. Italian MICRO MOSAIC TESSARAE glass silver tone on brass setting brooch. Measures 1 1/8". 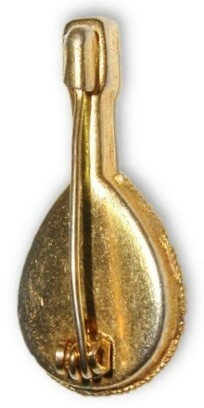 Some wear to the silver backing finish. No damage or repairs. 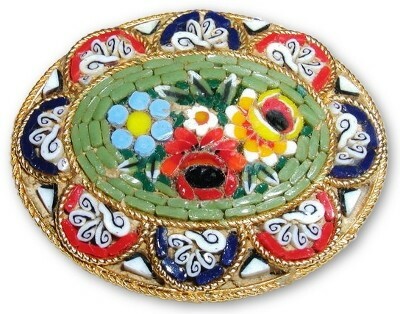 Italy MICRO MOSAIC TESSARAE glass gold tone setting brooch. Stamped ITALY. Measures 1 3/8" X 1 1/4". No damage or repairs. Vintage twice marked "STERLING" aquatic themed angel fish brooch. 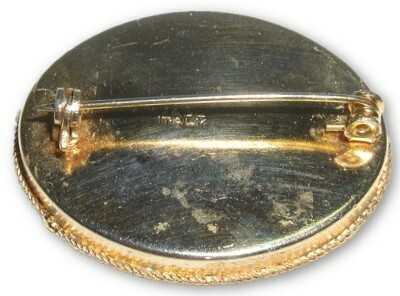 Measures 2 1/4" X 2" and weighs 24.3 grams. No damage or repairs. 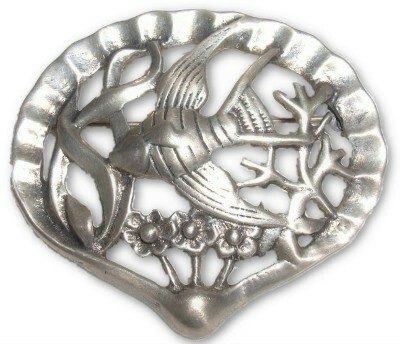 STERLING hand crafted brooch! Stamped STERLING. Measuring at 1 7'8" across this item has a total weight of 9.9 grams. No damage or repairs. Beautiful and timeless vintage marked "925" Sterling Silver, Marcasite & Kunzite heart stone brooch. Measures 1 3/4" X 1/2". Stamped "925". No damage or repairs. 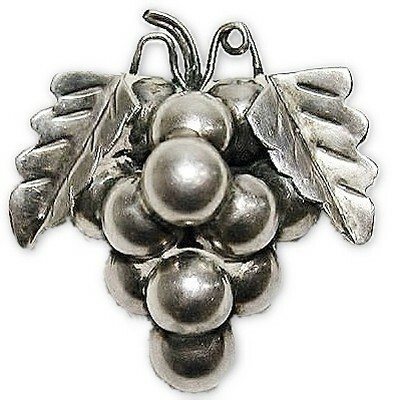 "STERLING TAXCO UXMAL" grape brooch. Measures 1 3/8" X 1 3/8", signed on the back. Total weight of 8.2 grams. No damage or repairs. 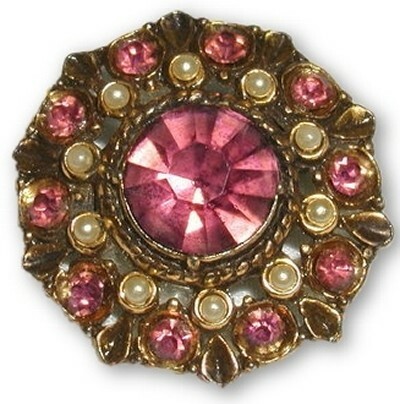 Victorian style rhinestone faux pearl & amethyst on burnished gold tone setting brooch. Unmarked and measures 1 1/8" across. No damage or repairs. 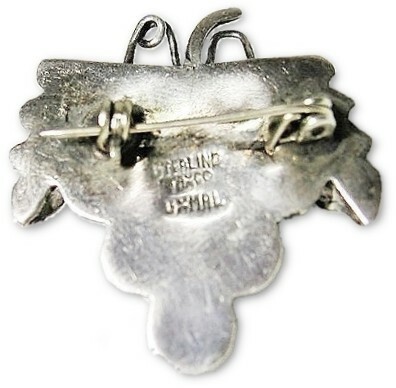 Sterling Silver marked WELLS STER on an oval applied tag, branch brooch. Measures 1 7/8" long and has a total weight of 4.5 grams. No damage or repairs. 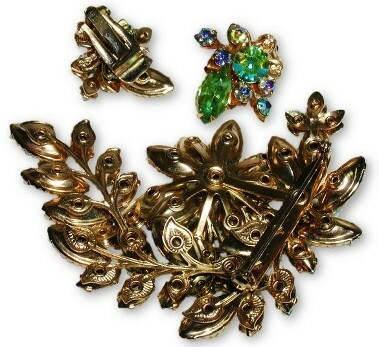 Juliana Aurora Borealis on gold tone figural brooch & earring demi-parure set!. 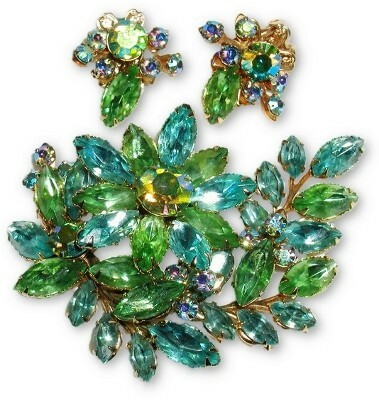 The brooch and clip on earrings are stunningly decorated with green and teal Aurora Borealis faceted rhinestones on a shiny gold tone setting. 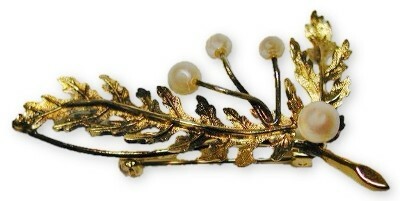 The brooch measures 3" X 2 1/4" and each earring measures 1" X 1". No makers mark. Wonderful vintage estate condition. Aurora Borealis multi color demi-parure set. This set has a lovely broach which is embedded with colorful Aurora Borealis finished stones of blue and green on a shiny gold tone setting. 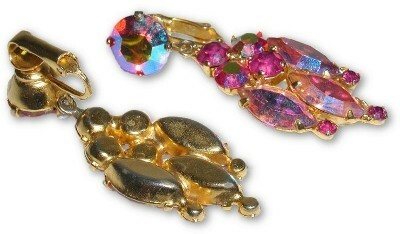 The matching clip-on earrings have the same complimentary stones and gold tone setting. 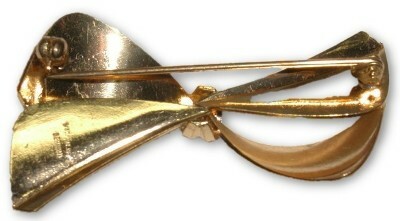 The brooch measures 2" X 1 1/4", the earrings each measure 1 1/4" X 3/4". No damage or repairs. 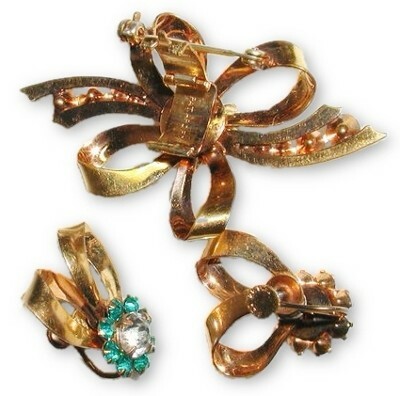 CARL ART "1/20 12KGF" on Sterling with crystal rhinestones demi-parure brooch and screw back earring set. 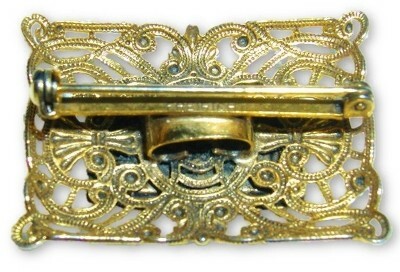 The brooch has a hidden back clasp to allow the wearer to hang a watch or to use as a pendant. 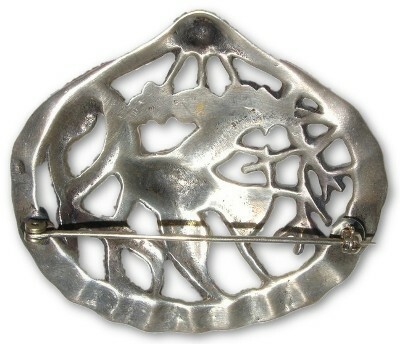 The brooch is stamped 1/20 12KGF as well as the Carl Art CA with an arrow through it mark. The earrings are also stamped. The brooch is also impressed "Pat AP FOR". 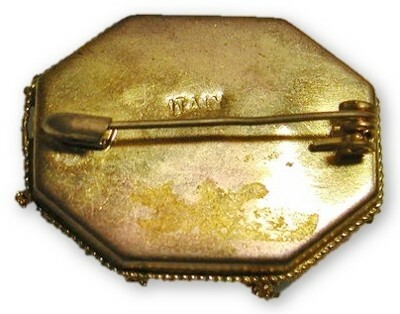 The brooch measures 2" X 1 1/4" and the earrings measure 1" X 7/8". No damage or repairs. Vintage estate pair of Aurora Borealis faceted crystal dangling chandelier style clip on earrings. Set in gold tone setting, the wonderful colorful faceted stones draw the eye to them from all angles. Each earring measures 2 1/8" X 3/4". No damage or repairs. Vintage estate set of Aurora Borealis faceted crystal bead clip-on earrings. Unmarked, each earring measures 1" across. No damage or repairs. 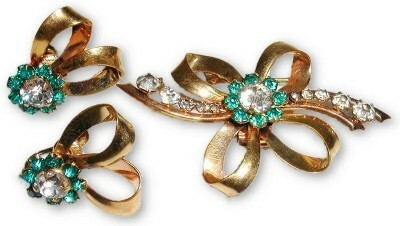 Vintage estate marked "CORO" clip-on rhinestone earrings. 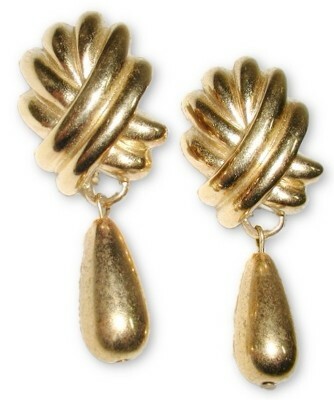 Set in a gold tone finished setting each earring measures 1 3/8" X 3/4". No damage or repairs. 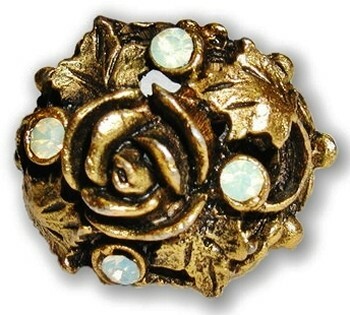 Brilliant vintage topaz colored crystal stones and set in a gold tone setting. clip-on is stamped EISENBERG ICE @. Each earring measures 1 1/4" X 3/4". No damage or repairs. Estate vintage rhinestone cut crystal & jet blacks burnished gold dangle earrings. 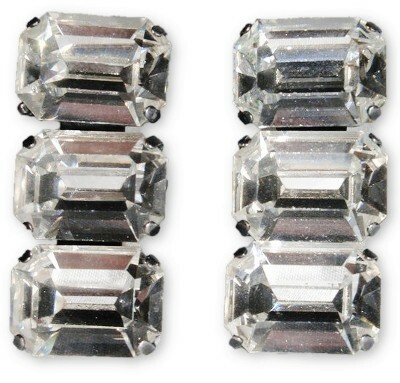 The set measures 2 3/4" in length and are clip on style beauties. No damage or repairs. 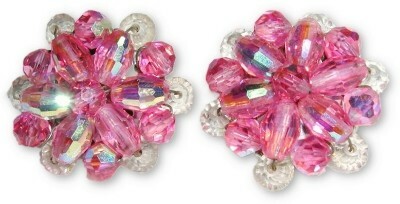 KRAMER pair of faceted crystal rhinestone clip-on earrings. 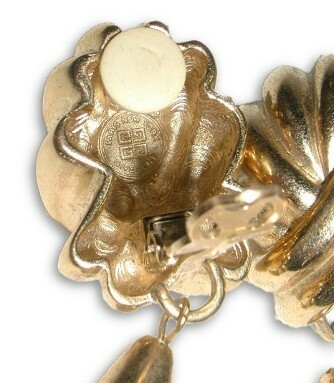 Set in a wonderful silver tone setting, each earring measures 1" X 1". Stones are prong set. No damage or repairs. 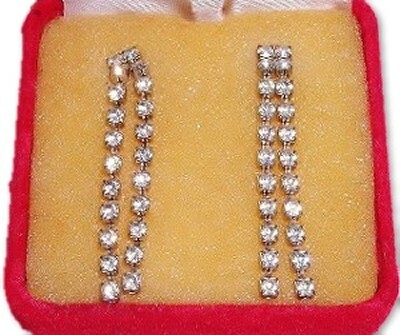 Pair of vintage pierced double strand dangle rhinestone earrings. In their original red velvet covered box, this set measures 2" long. On silvered metal and completely intact and untouched. The set could use a good cleaning but I will leave this to the lucky new owner of these costume jewelry gems. No damage or repairs. Vintage estate faceted crystal smokey stone clip on earring set. 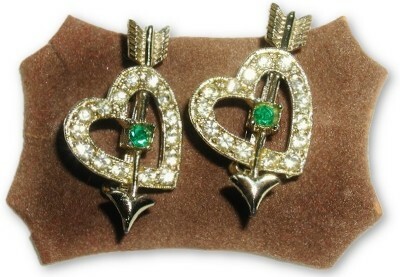 Mounted on silver tone metal this set is absolutely timeless and will enhance any lovely wearer. 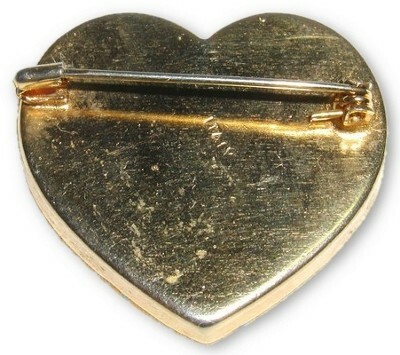 Each clip on earring measures 1 1/4" X 3/4". They are unsigned and have no damage or repairs. 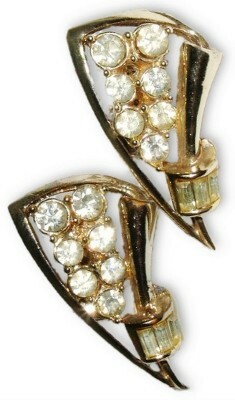 Vintage estate haute couture "SCOOTER PARIS" show stopping faceted crystal earrings. Set in a blackened pewter tone setting. 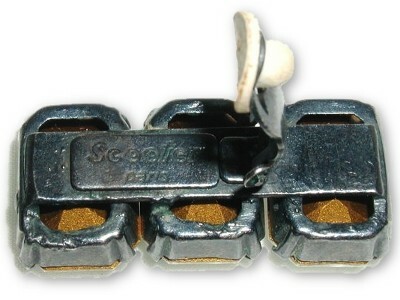 Stamped on the back of these clip on style earring is SCOOTER Paris. Each earring measures 1 1/2" X 3/4". No damage or repairs. Estate vintage marked "S.A.L. 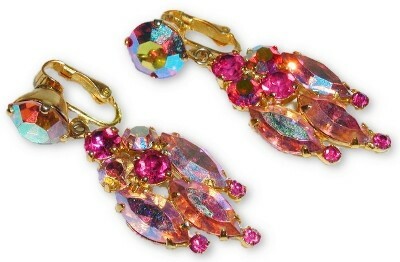 @" SWAROVSKI show stopping faceted crystal clip-on earring set. 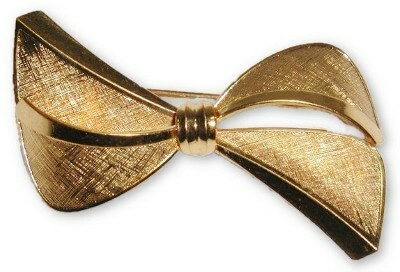 Each earring measures 1" X 3/4" and is mounted in a gold tone setting. 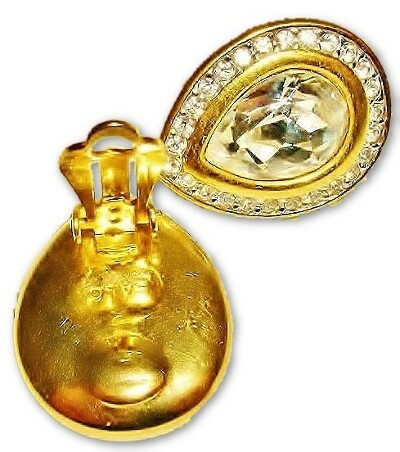 The pear shaped cutting and clarity to these brilliant stones will take your breath away. Impressed S.A.L. @ on the reverse of each earring. No damage or repairs. 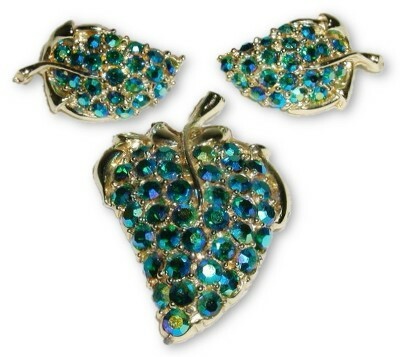 Vintage estate marked "WEISS" red, blue, green rhinestone earring set. 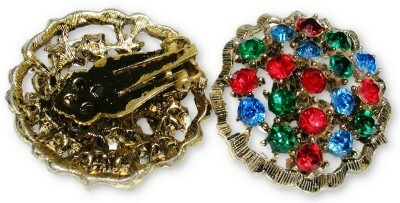 Mounted on a gold/pewter toned setting, each very colorful clip-on earring measures 1 1/8" across. Circa 1936 Carl Art of Providence RI. marked & engraved 1/20 12KT.G.F CA on curved arrow device. 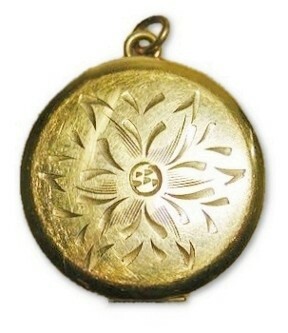 This item has a floral design engraved on one side of the double keepsake locket. There are NO MONOGRAMS. 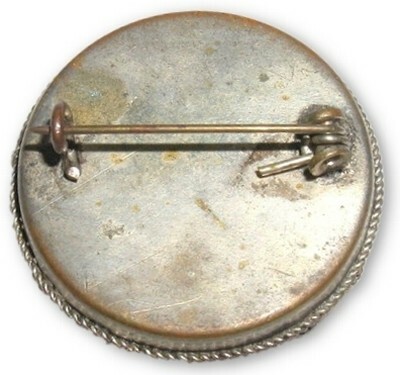 This item measures 1" from hinge to ring while the round body measures 7/8" across. 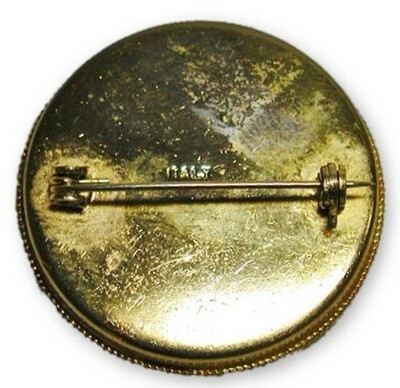 The two keepsake section on the interior of the locket measure 5/8" across and still have their original panes. 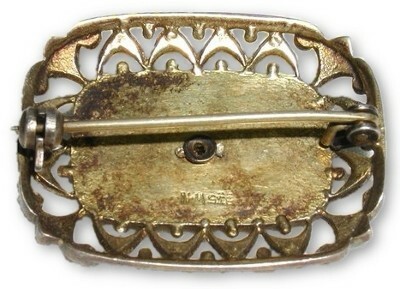 The hinge works well and the clasp closes tightly as well. This item has not bee buffed or cleaned. No dents or dings. 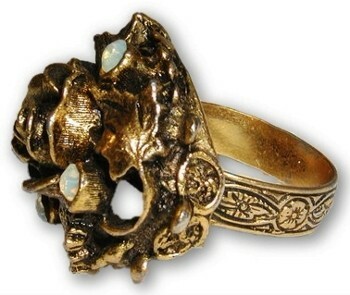 Vintage estate costume jewelry burnished gold tone and opalescent rhinestone cocktail ring. 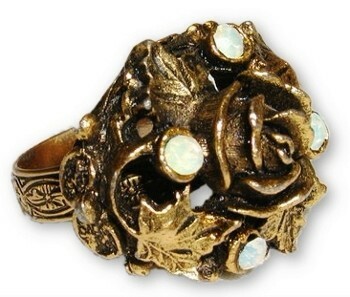 Circa 1960, this lovely cocktail ring has an ornately decorated adjustable band. 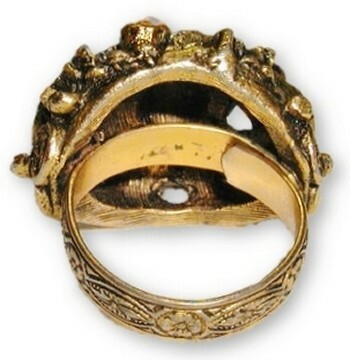 The ring measures @ 1" X 3/4" X 1 1/4". Only slight wear to the finish of the ring and you may wish to have the band rounded slightly to your exact size but remember it is adjustable so it should grace many lovely hands. No damage or repairs. 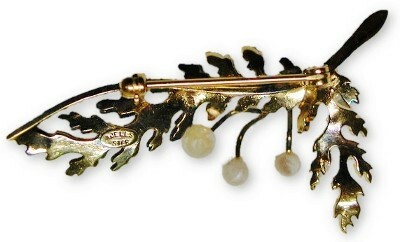 Antique Victorian rose gold and garnet colored stone stick pin. 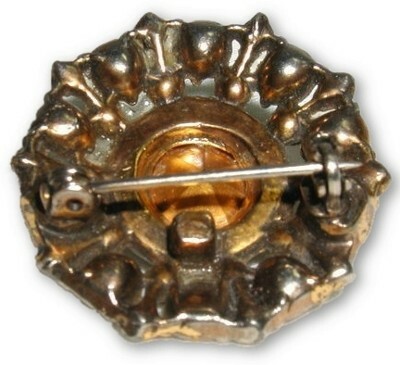 This item has no markings but it appears to be of rose gold (unsure of kt or if plated gold) and has what we believe is a mounted garnet colored stone in the center of the head of the stick pin. The twist shaft of the stick pin appears to be some sort of white metal and it does have a bit of a bend to it which I assume can be easily straightened out by the new owner. 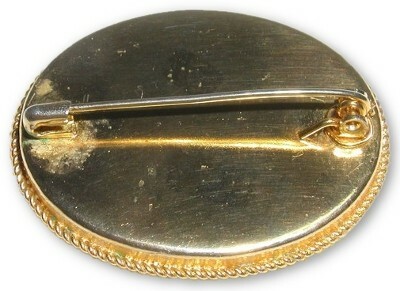 This item measures a total of 2 1/4" long while the octagon rose gold and garnet head measures 1/4".